Click on Pictures for more! 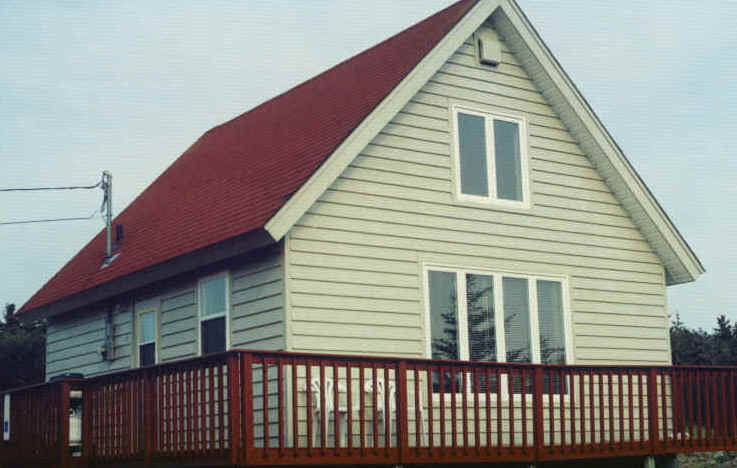 Long Ridge Cottages offer A-Frame two bedroom housekeeping units, one of which is equipped for people with disabilities. Our cottages have pine interiors giving a relaxed country atmosphere. Guests enjoy color cable TV, wireless internet, electric heat, full bath, patio, barbecue, microwave and a play area. The cottages are fully-winterized and open year-round which make them an excellent all season retreat. 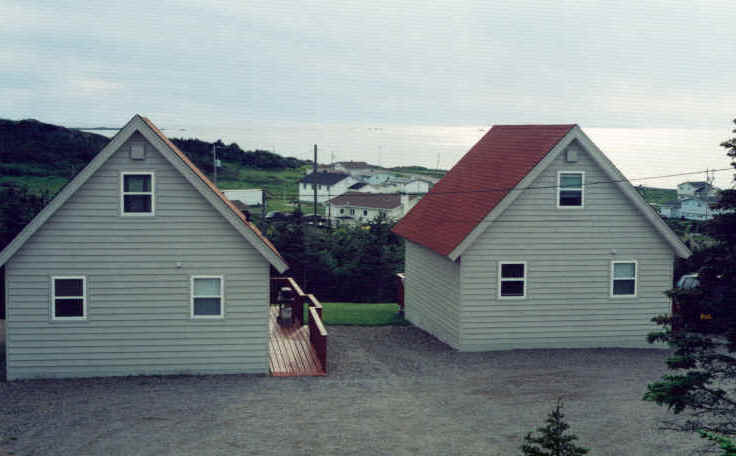 The cottages are located in the community and are just a short walk from a convenience store, gas bar and take-out. 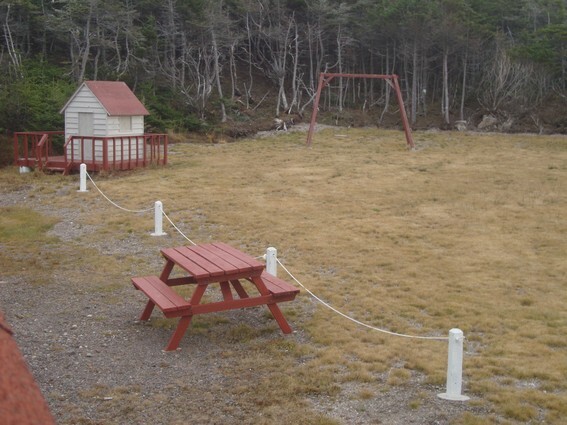 Let the children entertain themselves in our play area adjacent to the cottages.